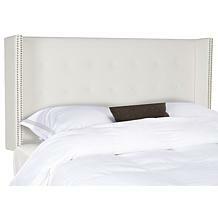 Create a spa-like bedroom retreat with this attractive headboard. 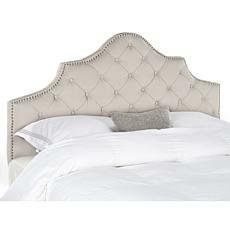 Its rectangular notched silhouette is echoed in contrasting nail-head trim. Thick padding looks and feels sumptuous. How about a nap? Streamlined yet brimming with designer details, this headboard will add character to your master suite. 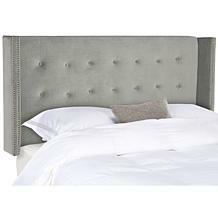 Its rectangular form is softened with button tufting, and its stylish wing sides are trimmed with double rows of nailheads. Looks like it's time for a bedroom makeover.